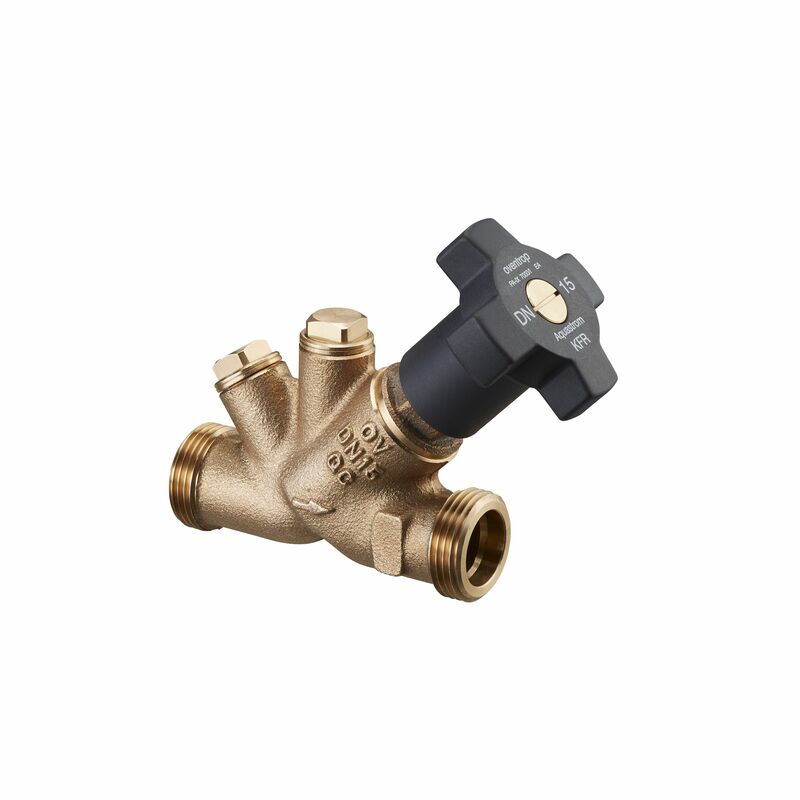 Combination free-flow valve and non-return check valve, PN 16. For potable water installations. 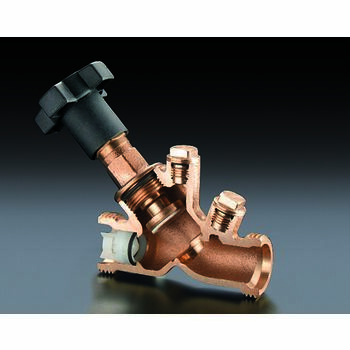 Oblique pattern valve made of bronze with plastic handle. All functioning components in one plane. 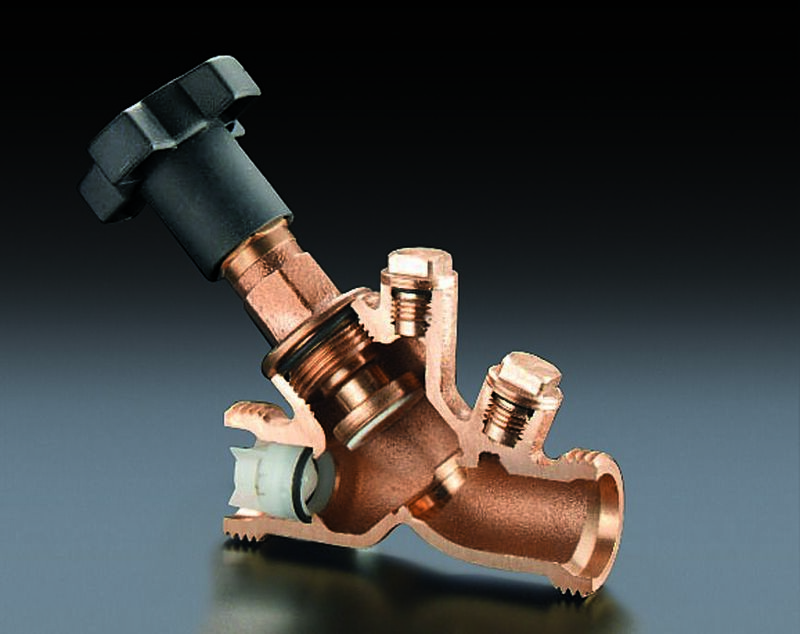 Maintenance-free stem seal due to double O-ring. Draining orifices G ¼ closed with plugs.